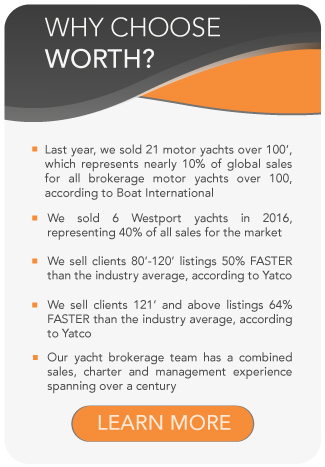 All Van Der Valk yachts for sale worldwide are listed below, scroll down to view them. Van Der Valk Shipyard, also known as Wim van der Valk Continental Yachts, celebrated their 50th year in 2017. Another Dutch family owned shipyard building semi-custom and custom, steel and aluminum motor yachts from 49ft/ 15m to 125ft/ 38m. Specialized in building yachts entirely in-house and ensuring quality control of the finished product, Van Der Valk Shipyard produces only a select number of Continental yachts every year; hence, providing unrivalled quality and exclusivity for individual owners. 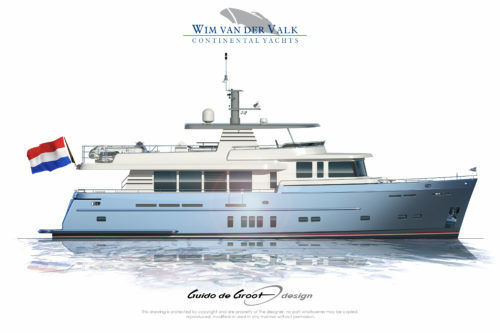 Wim van der Valk, a passionate yachtsman and watersport enthusiast, founded the company that bears his name in 1967 and he remains the driving force behind it today. The success of the first cabin and aft-cabin design cruisers measuring from 23ft/ 7m to 33ft/ 10m quickly attracted widespread attention from the yachting public. The models which marked the 1970’s for Van der Valk were the Valkkruiser, Comfort, Royal, Falcon and Super Falcon. Due to constant innovation and quality improvements, Van der Valk established an excellent reputation and soon took its place among prominent and well-respected Dutch shipyards. In the mid-1980’s, the shipyard launched the Vitesse series, steel and aluminum semi-displacement motor yachts in a high-end segment. Towards the end of the 1990’s, Van der Valk introduced the Continental I series, which would become their signature product. Over one hundred yachts have since been built to this design for proud owners throughout the world. The aft-cabin Continental I series has evolved over the years, and is still in the range today, re-named to Aft Cabin series. Van der Valk’s R&D team cooperates with suppliers, designers and engineers to develop new concepts and technical solutions for the future. They deploy the latest and most sophisticated work methods, carrying out research into new possibilities and applications. This ensures that their know-how remains fully up to date. A recent example of innovation is onboard the Continental IV Santa Maria T – the first motor yacht in the world to feature a two-axis fin antiroll damping system. Another notable Van der Valk yacht is The Next Episode, an 89ft/ 27.20m Continental III luxury yacht, launched in 2014 featuring an exterior and interior created by Guido de Groot Design. Her semi-displacement hull is made of lightweight aluminum and is powered by triple Volvo Penta IPS-1200 D13-900, 6-cylinder engine with IPS drive technology. Van der Valk shipyard’s state of the art facilities are located in Waalwijk, just an hour away from Amsterdam. The addition of their new production hall will allow the construction of motor yachts up to 147ft/ 45m in length and with up to three decks. The Van der Valk fleet currently consists of six series: The Beach Club, The Aft Cabin, The Flybridge, The Raised Pilot House, The Explorer and The Expedition series. Read more about Dutch yacht builders.